Leather Rubber sole. Heel measures approximately 1.75 inch. Platform measures approximately 1 inch. Aegis treated microfiber lining. Adjustable strap. Our patent-pending, original MICROWOBBLEBOARD midsole technology fuses three diagonal sections of triple-density EVA into a single, seamless, underfoot platform to absorb shock, diffuse high-pressure spots, and make your feet feel amazing! Add this glitzy slide to your summer outfit! Manmade upper with glitter overlay for added appeal Slide style sandal for an easy on and off Fabric strap lining Triple density Microwobbleboard? midsole delivers comfort by helping absorb shock and diffusing underfoot pressure by instantly increasing the contact area of the foot to the midsole 1 3/4 inch heel with a 1 1/4 inch front platform with a textured rubber outsole. Heel Height of 1.75 inches. Platform Height of 1.25 inches. A carnival inspired beaded fringe combines with suede and leather to create the astonishingly stylish CHA CHA FLIP FLOP from FitFlops! These flip flops are guranteed to match your style with comfort, combining a built-in arch contour with FitFlops respected Microwobbleboard midsoles, The CHA CHA flip flops are the perfect way to get summer started right! Fitflop~s bestselling classic skate shoes channel one of this season~s biggest trends, stepping out in a soft, sporty-looking knit. In fun colors, featuring slimline elasticated foot-hugging uppers, and with fitflop~s flexible, feather-light supercomff midsoles underneath, it~s time to get your skates on! Our SHUV, here in multiwear felt, is just fun. A cult favorite of dancers, artists, architects and geeks (of all kinds), formed from a single-piece upper on our incredibly comfortable Microwobbleboard midsoles, they are literally happiness at your feet. for the women~s FitFlop sizing guide. Click to learn more about the biomechanically engineered, ergonomic FitFlop&amp#174 footbed. The Shuv is a sophisticated mule that keeps your comfort in mind without losing sight of style and versatility. 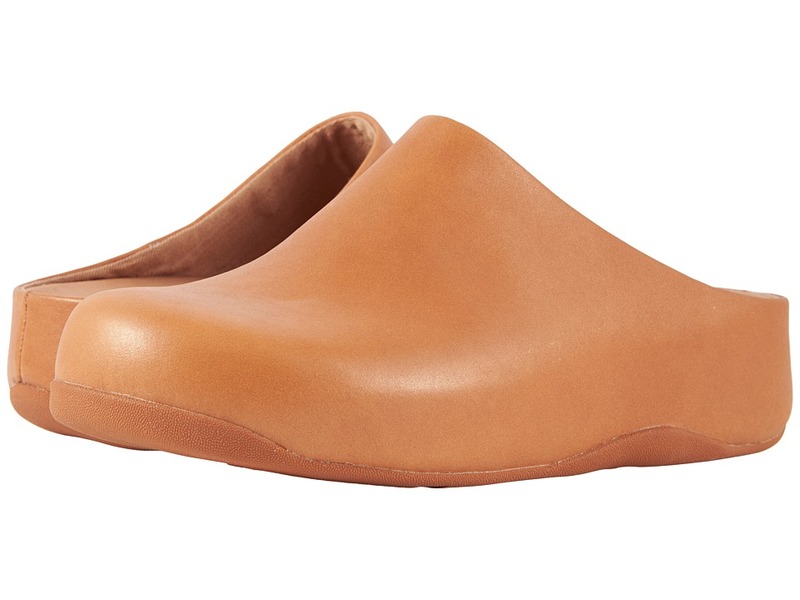 Premium leather upper in a single mold piece that is designed in a slip-on silhouette for easy on and off wear. Microfiber lining has been treated with antibacterial AEGI&amp#8482 to help prevent odors. Triple-density EVA midsole with sophisticated Microwobbleboard&amp#8482 technology. Please click for a video about Microwobbleboard technology. Textured outsole within embossed FitFlop logo that delivers long-lasting durability. Imported. Measurements: Heel Height: 1 1 2 in Weight: 10 oz Platform Height: 3 4 in Product measurements were taken using size 9, width M (B). Please note that measurements may vary by size. Weight of footwear is based on a single item, not a pair.